Below, we’ve covered current combi boiler prices for all units from 24kw-42kw. At the end of the article we’ve explained the combi boiler replacement quotes you should be expecting to receive. If your looking for competitive combi boiler prices, we’d look no further than BOXT. They’re part owned by Bosch, who in turn, own Worcester Bosch. And, that means the installation prices for combi boilers they offer are up there with the most competitive. 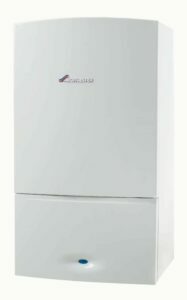 Smaller houses and apartments will usually use a boiler in the 24kw-27kw range. That assumes that you only have 1 bathroom, and no more than 10 radiators. If you have more than 1 bathroom, more than 10 radiators, or have high demand for hot water (shower and taps on at the same time), it’s likely you’ll need something different. A new boiler in the low kw range is always going to be the cheapest. We’ve detailed a few popular combi boiler prices below. There’s a lot that goes into combi boiler prices than just the purchase of the boiler. You’ll need a flue, a magnetic system filter, extensions and there’s a chance the gas engineer will need to re-route or move pipe-work. Expect a typical installation including the cost of the new boiler, materials and labour to be in the £2,000 range, for small properties. If you have a property with 2-4 bedrooms, 1-2 bathrooms and up to 15 radiators, you’ll be looking at a larger boiler than 24kw-27kw. A more suitable size for your property is going to be in the 28-34kw range, and there’s plenty of choice. Combi boiler prices in the 28kw-34kw range can be 10-30% more than the 24-27kw equivalents. 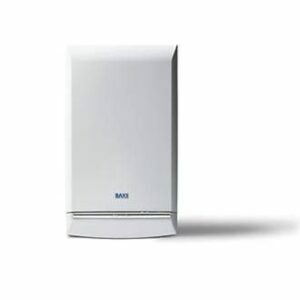 The price in the 28kw-34kw will also need to include items like flue, a magnetic system filter and extentsions. Expect a typical installation including the cost of the new boiler, materials and labour to be in the £2,200-£2,450 range. The price for your combi boiler will vary depending on the answers you provide on their clickable multiple choice survey. We’re getting to the high end of what a combi boiler can really do. Any bigger than a 4-5-bedroom property with 2 bathrooms and up to 20 radiators, and you’ll need something else, perhaps a system boiler (consult an engineer first). 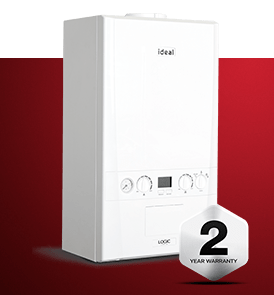 Combi boiler prices in the 35kw-42kw range tend to be incredibly expensive, almost double that of the 24kw combi in some cases. The bigger the boiler, the higher the prices are going to be. 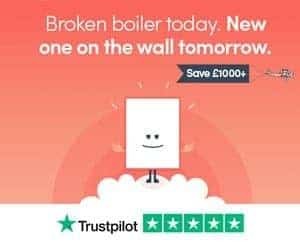 For a top boiler at a reasonable price, we’d suggest spending 90 seconds and getting your fixed price on-screen via BOXT. Typically, they’re going to be on-par if not cheaper than local installers. Is the boiler in the same location, or does it have to be moved? Is this a system upgrade (converting from a system boiler to a combi boiler)? Does a magnetic system filter need to be installed? Does the system have pipework that is currently up to Gas Safe standards? To save the complications, after account for the combi boiler price (boiler only), I’d expect to add on the following costs for a basic new boiler swap. As we mentioned above, some of the cheapest combi boiler prices available come via BOXT. Due to their connection to Bosch and therefore Worcester Bosch, their prices are extremely competitive. You can jump straight on to their site and get your price here. Or, you can read our review of BOXT and their combi boiler prices BOXT. Still got questions? Drop a comment below and we’ll get back to you as soon as possible.